1 After this he left Athens and went to Corinth. 3 and, because he practiced the same trade, stayed with them and worked, for they were tentmakers by trade. 4 Every sabbath, he entered into discussions in the synagogue, attempting to convince both Jews and Greeks. 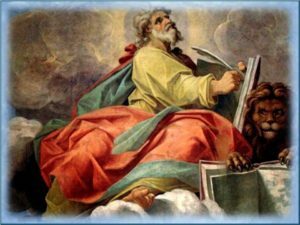 5 When Silas and Timothy came down from Macedonia, Paul began to occupy himself totally with preaching the word, testifying to the Jews that the Messiah was Jesus. 7 So he left there and went to a house belonging to a man named Titus Justus, a worshiper of God; 3 his house was next to a synagogue. 8 Crispus, 4 the synagogue official, came to believe in the Lord along with his entire household, and many of the Corinthians who heard believed and were baptized. 11 He settled there for a year and a half and taught the word of God among them. 16 And he drove them away from the tribunal. 17 They all seized Sosthenes, the synagogue official, and beat him in full view of the tribunal. But none of this was of concern to Gallio. 19 When they reached Ephesus, he left them there, while he entered the synagogue and held discussions with the Jews. 21 but as he said farewell he promised, “I shall come back to you again, God willing.” Then he set sail from Ephesus. 22 Upon landing at Caesarea, he went up and greeted the church 8 and then went down to Antioch. 23 9 After staying there some time, he left and traveled in orderly sequence through the Galatian country and Phrygia, bringing strength to all the disciples. 25 He had been instructed in the Way of the Lord and, with ardent spirit, spoke and taught accurately about Jesus, although he knew only the baptism of John. 26 He began to speak boldly in the synagogue; but when Priscilla and Aquila heard him, they took him aside and explained to him the Way (of God) 11 more accurately. 27 And when he wanted to cross to Achaia, the brothers encouraged him and wrote to the disciples there to welcome him. After his arrival he gave great assistance to those who had come to believe through grace. 28 He vigorously refuted the Jews in public, establishing from the scriptures that the Messiah is Jesus. 1  Aquila . . . Priscilla: both may already have been Christians at the time of their arrival in Corinth (see ⇒ Acts 18:26). According to ⇒ 1 Cor 16:19, their home became a meeting place for Christians. Claudius: the Emperor Claudius expelled the Jews from Rome ca. A.D. 40. The Roman historian Suetonius gives as reason for the expulsion disturbances among the Jews “at the instigation of Chrestos,” probably meaning disputes about the messiahship of Jesus. 2  Shook out his garments: a gesture indicating Paul’s repudiation of his mission to the Jews there; cf ⇒ Acts 28:17-31. 3  A worshiper of God: see the note on ⇒ Acts 8:26-40. 4  Crispus: in ⇒ 1 Cor 1:14 Paul mentions that Crispus was one of the few he himself baptized at Corinth. 5  When Gallio was proconsul of Achaia: Gallio’s proconsulship in Achaia is dated to A.D. 51-52 from an inscription discovered at Delphi. This has become an important date in establishing a chronology of the life and missionary work of Paul. 6  Contrary to the law: Gallio (⇒ Acts 18:15) understands this to be a problem of Jewish, not Roman, law. 7  He had his hair cut because he had taken a vow: a reference to a Nazirite vow (see ⇒ Numbers 6:1-21, especially, ⇒ 6:18) taken by Paul (see also ⇒ Acts 21:23-27). 8  He went up and greeted the church: “going up” suggests a visit to the church in Jerusalem. 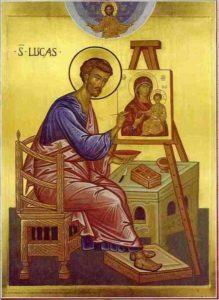 9 [⇒ 18:23-⇒ 21:16] Luke’s account of Paul’s third missionary journey devotes itself mainly to his work at Ephesus (⇒ Acts 19:1-⇒ 20:1). There is a certain restiveness on Paul’s part and a growing conviction that the Spirit bids him return to Jerusalem and prepare to go to Rome (⇒ Acts 19:21). 10 [24,25] Apollos appears as a preacher who knows the teaching of Jesus in the context of John’s baptism of repentance. Aquila and Priscilla instruct him more fully. He is referred to in ⇒ 1 Cor 1:12; ⇒ 3:5-6, ⇒ 22. This entry was posted in ACTS OF THE APOSTLES. Bookmark the permalink.